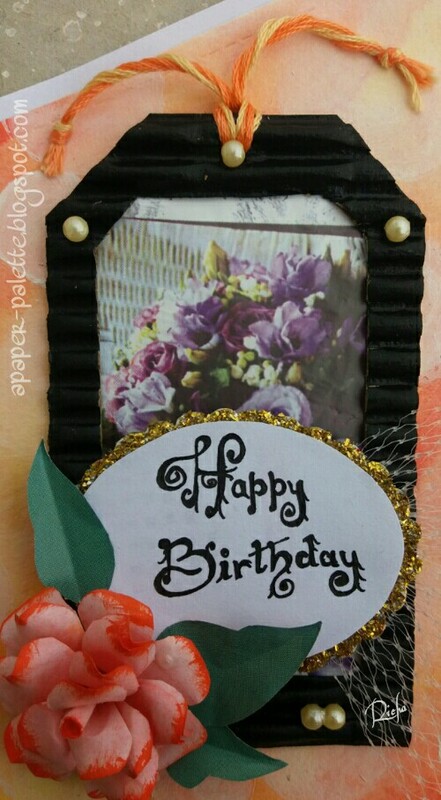 Paper Palette: Tag Birthday Card! I hope you enjoyed my Chocolate treats. I am back again with a BIRTHDAY TAG-CARD. 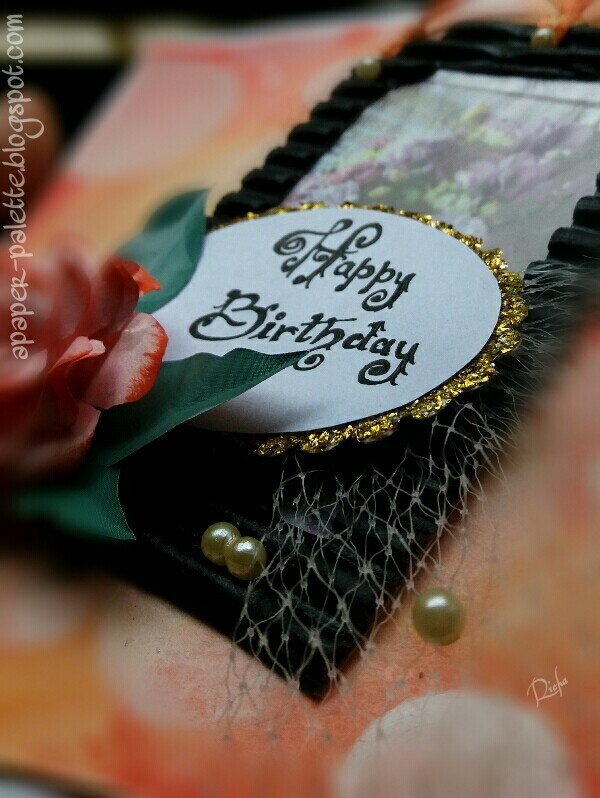 Here is a sneak peek..
Coming to the card, I have used a new technique here known as BOKEH TECHNIQUE. I came to know about it while participating in happily ever crafter's crafty quiz. I am always afraid of using watercolors as they do not blend for me. But this one is really simple and the results are really pretty. 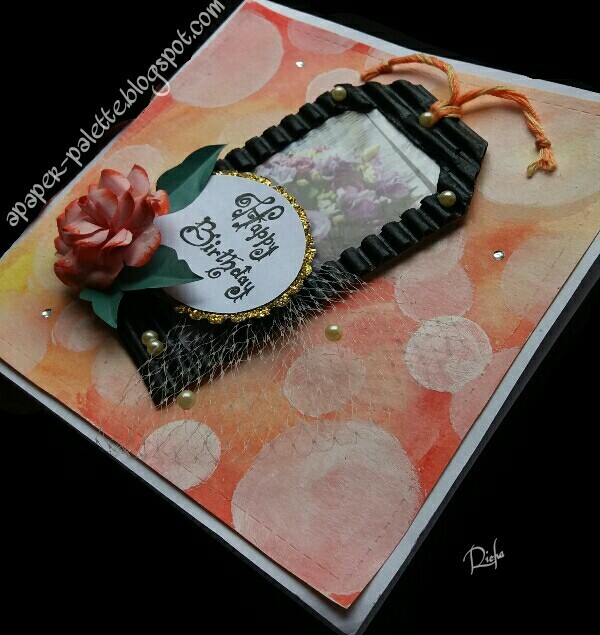 All the elements in this card have been upcycled except for the paper and the water colors. Firstly, I took a white cardstock and colored it with Bokeh Technique. 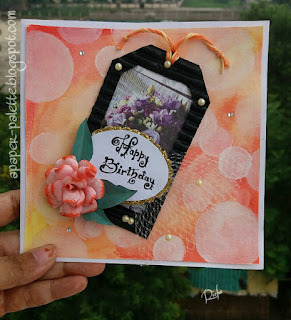 Then i made the tag again using corrugated sheet from packaging boxes( I just love their texture..after using them for my Friendship shaker tag). For the bg of the tag I used an old gift wrap. To tone down the color I glued an old slightly opaque polythene (tried gesso but it didn't give the desired results). Added a handmade flower and a few leaves( cut out from a magazine). Then used an old net to make a half bow like shape. Added a hand written sentiment with sparkling edge. In place of ribbon in the tag I have used threads (from an old Rakhi). Then attached the tag to the card and embellished it with pearls (from an old garland) and blings (from wedding cards). Finally added some faux stitches. And Tada!! The card is ready. I didn't take step by step pics as I wasn't sure how it was gonna turn out. If you liked the card do leave some love through the comment section. Beautiful birthday card! Thanks so much for playing along at CCCB!! 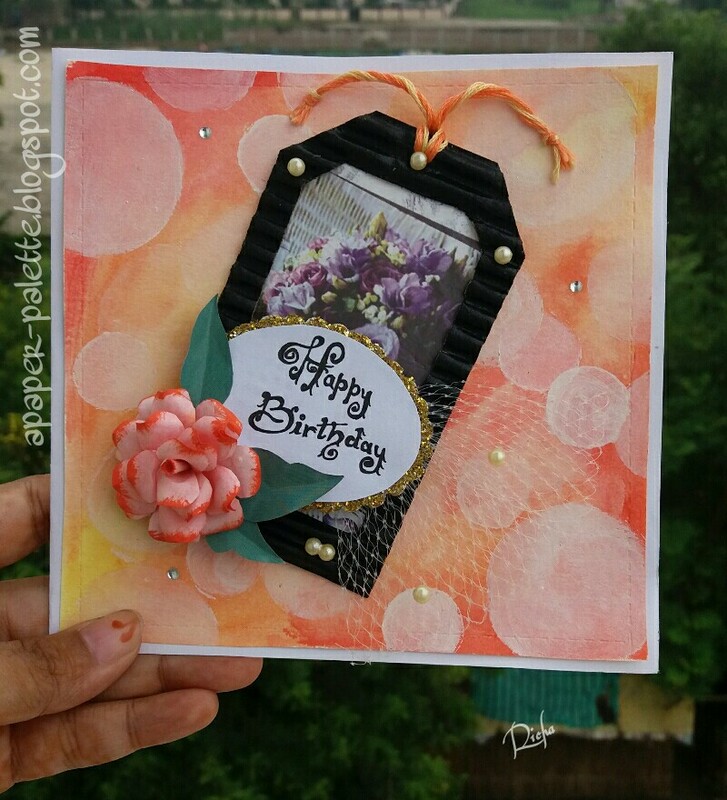 Beautiful card and I am sure you friend will love it! Sounds like you have a friend for life! 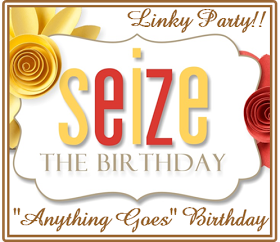 Thanks so much for linking up with us at Seize the Birthday and we hope you will be back again soon! Fabulous birthday tag card. I and loving the gold sparkle on your card. Thank you so much for sharing your wonderful work with us at Creative Knocouts Sparkle & Shine challenge. This is very pretty! I love your bokeh technique! The tag is beautiful! I know your friend will love this! Thank you for visiting my blog and becoming one of my followers. I've returned the favour and I'm your latest follower. Beautiful tag Richa, Thankyou for following me !! Thank you seema..It was a pleasure..And thank you for following me.. 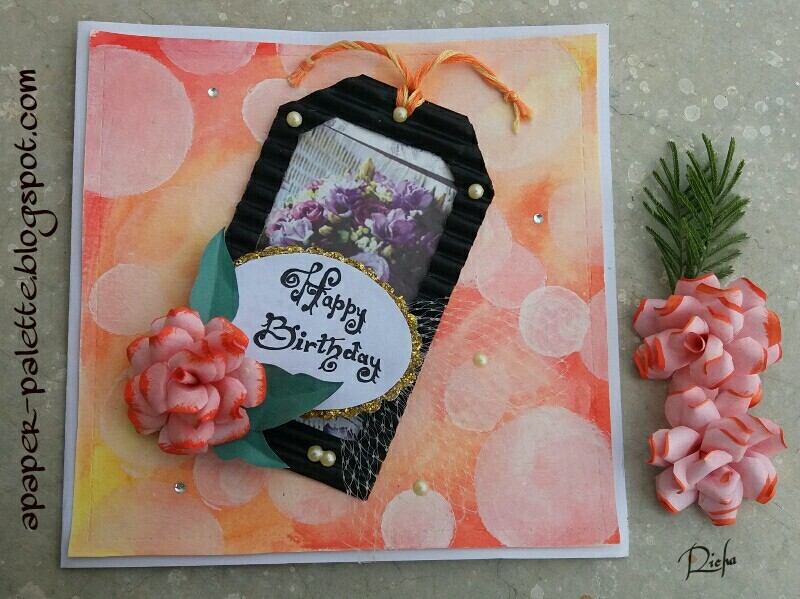 Your friend will love this gorgeous card that you made especially for her. The background is stunning. Thank you for joining the DL.ART Thankful Thursday Tag Challenge. WOW!! this is gorgeous, love the Bokeh Technique and I'm going to give it a try, looks amazing. Your beautifully detailed tag looks lovely with that background. Thank you for playing with us at SHOPPING OUR STASH, hope to see you back in the gallery again soon. Amazing!! 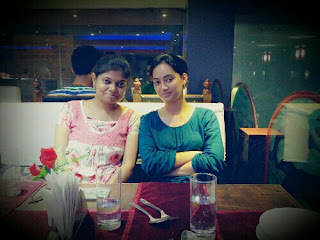 your friend is blessed to have YOU!! Thank you Patti😊..Yeah she is (;P). Thank you Cyndi for dropping by..
Beautiful card love the background effect I have seen it many times but not tried it myself. Very nicely crafted! Thanks for Rocking with us this week at 613 Avenue Create! It is always fun to try a new technique. I have to admit I haven't tied this one yet, but I have looked at it a couple of times. You have pulled it off perfectly. A fabulous card, such a pretty background. Lovely Bokeh technique. A wonderful birthday card for your friend. Thanks for sharing with us at Aud Sentiments Challenge Blog and hope to see you again soon. Beautiful card!! Love the pretty fall colors too!! Thanks for linking up your project this month! !